When the British government acted like dictators and ignored the laws we had the Boston Tea Party and then the revolutionary war. It is time for a new awakening of the Fourth branch of government – this time to clean up the courts. It is past time to talk the talk -we must walk the walk -no fear – just act! When the judge violates the law – file everything possible in state and federal court (complaint for supervisory order; complaint for mandamus; Section 1983 federal civil rights suit for injunctive relief – justices have immunity from suits for monetary damages but not from suits for injunctive relief or mandamus; Attorney Regulatory Commission Complaint; Judicial Inquiry Board Complaint; Judicial Council complaints; complain to the press; complain to officials in charge of the County or State; complain to your representatives and senators; make a request for impeachment to the speaker of the house; complain to the press, put ALL details of your case on the Internet. We hold these truths to be self-evident, that all men are created equal, that they are endowed by their Creator with certain unalienable Rights, that among these are Life, Liberty and the pursuit of Happiness. –That to secure these rights, Governments are instituted among Men, deriving their just powers from the consent of the governed, –That whenever any Form of Government becomes destructive of these ends, it is the Right of the People to alter or to abolish it, and to institute new Government, laying its foundation on such principles and organizing its powers in such form, as to them shall seem most likely to effect their Safety and Happiness. Prudence, indeed, will dictate that Governments long established should not be changed for light and transient causes; and accordingly all experience hath shewn, that mankind are more disposed to suffer, while evils are sufferable, than to right themselves by abolishing the forms to which they are accustomed. Our right to justice is not something that the judiciary should play with. Our justice system is not a tool of self serving lawyers to use to allow lawyers to take advantage of the misfortunate and victimize them. Our courts are to serve the people and not as a profit center to protect the incomes of lawyers. We the people hereby give notice to the judiciary that you are acting in contempt of the people and that you will refrain from continuing to do so or face the consequences. The civil rights suit against Lisa Madigan, Jorge Alonso, Kathleen Pantle, John Fearon, Patrick Murray, William Reibel, Patrick Keenan, Nicholas Cozzolino, Julia Lovett, Charlene Wells can be read at this link. LINDA SHELTON v. ILLINOIS ATTORNEY GENERAL LISA MADIGAN et al. Defendant, Pro Se, respectfully presents to this Honorable Court the following memorandum of law concerning statutes and case law regarding total and complete lack of prosecutorial and judicial jurisdiction of sham prosecutors and judges in this case. Judges and prosecutors have absolute immunity unless they totally lack subject-matter or personal jurisdiction in the case. A judge acting without subject-matter jurisdiction is acting without judicial authority. Cohens v. Virginia, 19 U.S. (6 Wheat) 264, 404, 5 L.Ed 257 (1821) The U.S. Supreme Court, in Scheuer v. Rhodes, 416 U.S. 232, 94 S.Ct. 1683, 1687 (1974) stated that "when a state officer acts under a state law in a manner violative of the Federal Constitution”, he "comes into conflict with the superior authority of that Constitution, and he is in that case stripped of his official or representative character and is subjected in his person to the consequences of his individual conduct. The State has no power to impart to him any immunity from responsibility to the supreme authority of the United States." [Emphasis supplied in original]. State officials may be sued as individuals in § 1983 actions. Brokaw v. Mercer County, 235 F.3d 1000 (7th Cir. 2000). Plaintiff alleges that the prosecutors and judges sued in this case totally lacked subject matter jurisdiction and therefore pursued this prosecution and presided over this prosecution without any legal authority as individuals and trespassers of the Constitution of the United States. The sham prosecutors had no constitutional or statutory authority or jurisdiction to bring the Medicaid vendor fraud charge. The court had no subject matter jurisdiction because the indictment was legally insufficient and failed to state a charge, the charges were void as a violation of the Supremacy clause, the charges were void due to vagueness, and therefore there was a total and complete failure to charge a crime. A Judge may not claim jurisdiction by fiat. All orders or judgments issued by a judge in a court of limited jurisdiction must contain the findings of the court showing that the court has subject-matter jurisdiction, not allegations that the court has jurisdiction. “. . . in a special statutory proceeding an order must contain the jurisdictional findings prescribed by statute.” In re Jennings, 68 Ill.2d 125, 368 N.E.2d 864 (1977) A judge’s allegation that he has subject-matter jurisdiction is only an allegation. Lombard v. Elmore, 134 Ill.App.3d 898, 480 N.E.2d 1329 (1st Dist. 1985), Hill v. Daily, 28 Ill.App.3d 202, 204, 328 N.E.2d 142 (1975). Inspection of the record of the case is the controlling factor. If the record of the case does not support subject-matter jurisdiction, then the judge has acted without subject-matter jurisdiction. “If it could not legally hear the matter upon the jurisdictional paper presented, its finding that it had the power can add nothing to its authority, – it had no authority to make that finding.” The People v. Brewer, 328 Ill. 472, 483 (1928) Without the specific finding of jurisdiction by the court in an order or judgment, the order or judgment does not comply with the law and is void. The finding can not be merely an unsupported allegation. A court has no jurisdiction where the public policy of the State of Illinois is violated [a crime must be alleged and state ALL the elements of the offense for the complaint to be valid], People v. Meyers, 158 Ill.2d 46, 51 (1994); Martin-Tregona v. Roderick, 29 Ill.App.3d 553, 331 N.E.2d 100 (1st Dist. 1975). A void judgment, order, or decree is one in which the rendering court lacked subject-matter jurisdiction, lacked personnel jurisdiction, lacked the inherent power or authority to make or enter or enforce the particular order involved. In re D.W. (People v. Lisa M.), 214 Ill.2d 289, 827 N.E.2d 466, 480 (Ill. 2005); People v. Thompson, 209 Ill.2d 19, 23, 805 N.E.2d 1200, 1203 (Ill. 2004); Sarkissian v. Chicago Board of Education, 201 Ill.2d 95, 103, 776 N.E.2d 195, (Ill. 2002), quoting Barnard v. Michael, 392 Ill. 130, 135, 63 N.E.2d 858 (1945). A judge should not proceed in any action in which the judge does not have subject-matter jurisdiction, since she has no lawful authority to act. Any acts made without jurisdiction are void. Under Illinois and Federal law, when any officer of the court has committed “fraud upon the court”, the orders and judgment resulting from such fraud on that court are void, of no legal force or effect. The Illinois Supreme Court held that if a court "could not hear the matter upon the jurisdictional paper presented, its finding that it had the power can add nothing to its authority, - it had no authority to make that finding." The People v. Brewer, 128 Ill. 472, 483 (1928). The judges listed below had no legal authority (jurisdiction) to hear or rule on certain matters before them. They acted without any jurisdiction. When judges act when they do not have jurisdiction to act, or they enforce a void order (an order issued by a judge without jurisdiction), they become trespassers of the law,and are engaged in treason (see below). The Court in Yates v. Village of Hoffman Estates, Illinois, 209 F.Supp. 757 (N.D. Ill. 1962) held that "not every action by a judge is in exercise of his judicial function. ... it is not a judicial function for a judge to commit an intentional tort even though the tort occurs in the courthouse." When a judge acts as a trespasser of the law, when a judge does not follow the law, the judge loses subject-matter jurisdiction and the judge’s orders are void, of no legal force or effect. By law, a judge is a state officer. The judge then acts not as a judge, but as a private individual (in his person). 'I do solemnly swear (or affirm, as the case may be), that I will support the constitution of the United States and the constitution of the state of Illinois, and that I will faithfully discharge the duties of the office of attorney and counselor at law to the best of my ability.'" 'I do solemnly swear (or affirm, as the case may be) that I will support the constitution of the United States, and the constitution of the State of Illinois, and that I will faithfully discharge the duties of judge of ______ court, according to the best of my ability.'" Further, if the judge had enlisted in the U.S. military, then he has taken a third oath. Under Title 10 U.S.C. Section 502 the judge had subscribed to a lifetime oath, in pertinent part, as follows: "I, __________, do solemnly swear (or affirm) that I will support and defend the Constitution of the United States against all enemies, foreign or domestic; that I will bear true faith and allegiance to the same; ...". The U.S. Supreme Court has stated that "No state legislator or executive or judicial officer can war against the Constitution without violating his undertaking to support it.". Cooper v. Aaron, 358 U.S. 1, 78 S.Ct. 1401 (1958). Any judge who does not comply with his oath to the Constitution of the United States wars against that Constitution and engages in acts in violation of the Supreme Law of the Land. The judge is engaged in acts of treason. Having taken at least two, if not three, oaths of office to support the Constitution of the United States, and the Constitution of the State of Illinois, any judge who has acted in violation of the Constitution is engaged in an act or acts of treason (see below). If a judge does not fully comply with the Constitution, then his orders are void, In re Sawyer, 124 U.S. 200 (1888), he/she is without jurisdiction, and he/she has engaged in an act or acts of treason. The Supreme Court has also held that if a judge wars against the Constitution, or if he acts without jurisdiction, he has engaged in treason to the Constitution. If a judge acts after he has been automatically disqualified by law, then he is acting without jurisdiction, and that suggest that he is then engaging in criminal acts of treason, and may be engaged in extortion and the interference with interstate commerce. Courts have repeatedly ruled that judges have no immunity for their criminal acts. Since both treason and the interference with interstate commerce are criminal acts, no judge has immunity to engage in such acts. Statutes and case law regarding constitutional and statutory authority of Illinois Attorney General do not allow the Illinois Attorney General to prosecute Medicaid Vendor Fraud without the invitation, consent, or participation of the Cook County State’s Attorney. “Although a court may request that the Attorney General act in place of the State’s Attorney if he is sick, absent, uninterested, or unable to attend, Ill. Rev. Stat. Ch. 14, para. 6 (1973), in the absence of such circumstances, even the court may not substitute one official for the other. Moreover, since the State’s Attorney has the duty to take charge and prosecute all criminal offenses in his county, the attorney general has no power to interfere while that duty is being honestly, intelligently, and carefully discharged. The Illinois Supreme Court in People v. Massarella, 72 Ill.2d 531, 382 N.E.2d 262 (1978), held that the Illinois Attorney General has authority to prosecute any crime with acquiescence of and absent of objection by State’s Attorney. The key is that the state’s attorney had knowledge of the case and actively acquiesced or failed to make an objection. It also held that the Illinois Attorney General has authority to appear before the grand jury without prior approval of the State’s Attorney. They also found that an indictment is not invalidated because the Illinois Attorney General appears before the grand jury without approval of the State’s Attorney. In Buffalo Confectionery, Co. (Ibid at page 548) the court noted that in that case the Assistant Attorney General (AAG) told the grand jury that he had obtained permission of a named Assistant State’s Attorney (ASA) to prosecute the case. The named ASA was present at the arraignment and filed a motion for pretrial discovery. The signature of the Cook County State’s Attorney appeared on the indictment. In the case at bar the AAG told the grand jury he had permission of the State’s Attorney, but does not name any such person. The ASA has not appeared at any hearing or before the grand jury in this case and has filed no motions. A signature stamp for SA Richard Divine on the indictment is the only documentation of involvement of the state’s attorney. This signature stamp does not verify that ANY person from the State’s Attorney’s office ever was consulted about this case, was shown evidence about this case, decided what charges should be filed, and consented to the prosecution of this case by the Attorney General with exclusion of ANY involvement of the State’s Attorney in this case. In Buffalo Confectionery, Co. (Ibid at page 548 and 550) the court noted that there was an “obvious acquiescence by the State’s Attorney”, who was present at the arraignment and made a motion for pretrial discovery. In that case, it was clear that the State’s Attorney had considered the case and had decided to allow the AAG to proceed with prosecution without the ASA. “It is clear that in Illinois, even the Attorney General, a constitutionally created prosecuting office, cannot invade the exclusive jurisdiction of the State’s Attorney to bring charges absent some evidence of abuse by the state’s attorney, or a conflict of interest. This issue in this case was whether or not citizens can file criminal complaints with the court clerk, without the approval or signature of police or the state’s attorney. The clerk had refused to accept criminal complaints by Shelton against corrupt State and County officials, including the State’s Attorney and police. The Appellate Court ruled that this refusal was proper and that citizens had no standing to file such complaints. The reasoning agreed with Cook County State’s Attorney Richard Divine who opined that the Attorney General has no statutory authority to indict and prosecute a person absent consent and participation of the State’s Attorney. This is binding precedent, so much so that any criminal prosecution of vendor fraud by the AG is null and void if the AG did not have the invitation, consent, and participation or acquiescence of the SA. Attorney General lacks the power to take exclusive charge of the prosecution of those cases over which the State’s Attorney shares authority, but is authorized to consult with and advise the several State’s Attorneys and attend the trial of any party accused of a crime and assist in the prosecution. Illinois statutes and case law are explicit in that an Attorney General, in Illinois, can only initiate and prosecute a criminal offense if they are invited to do so by the states attorney and the states attorney participates at hearings and at trial, if the State’s Attorney has reviewed the facts of the case, taken some initial steps towards prosecution and acquiesces to the Illinois Attorney General prosecuting without the State’s Attorney’s participation, or if statutory authority is granted, as it is in CIVIL prosecution of vendor fraud (after approval by OIG-DHHS), in certain environmental crimes or in certain cases involving drug crimes and other statutorily specified crimes. Medicaid vendor fraud is not such a special statutory category subject to independent and exclusive prosecution by the Attorney General and cannot be criminally prosecuted by the Illinois Attorney General without the written approval of the OIG-DHHS and the request, and at least initial participation of the States Attorney, after the State’s Attorney has evaluated the evidence and determined which offense with which offender should be charged. It is the responsibility of State’s attorney of county to appraise evidence against accused and determine offense with which he should be charged. State’s attorney as a representative of the people has responsibility of evaluating evidence and other pertinent factors and determining what offense can properly and should properly be charged. 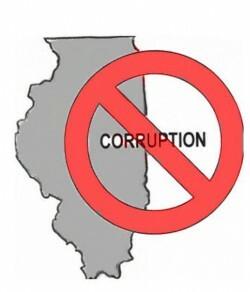 Therefore, without a specific statute giving the Illinois Attorney General authority to exclusively prosecute criminal Medicaid vendor fraud, the Illinois Attorney General may not prosecute anyone including Defendant in case at bar if there has been no review of evidence by the State’s Attorney, no determination of the charges by the State’s Attorney, no initial participation by the State’s Attorney, and no acquiescence by the State’s Attorney. Without the authority of the Attorney General to prosecute the charges, the charges were not properly before the court and the case was void ab initio. The Eight Circuit Court of Appeals in McGhee v. Pottawattamie Co., 547 F.3d 922 (2008) ruled that malicious and willful acts to fabricate probable cause are substantive due process violations and subject the prosecutor who fabricated probable cause to liability under § 1983. This is because the United States Supreme Court in Burns v. Reed, 500 U.S. 478 (1991) took a functional approach as to the role of a prosecutor. If his acts were not intimately tied to the prosecution of the case, but were tied to the investigation, the prosecutor was not immune. This is consistent with Imbler v. Pachtman, 424 U.S. 409, 428, 430 (1971) where the court held that prosecutors are absolutely immune for acts intimately tied to the prosecution. In this case prosecutorial absolute immunity does not attach to a prosecutor who never had statutory or constitutional authority to prosecute the alleged crime; does not attach to an Illinois Police investigator prior to the charging of the crime; does not attach to Illinois Medicaid Office of Inspector General nurses serving as investigators; does not attach to Defendant AAG Murray who served as an investigator gathering evidence and later joined the prosecution team; and does not attach to an Attorney General or her staff who willingly and intentionally ignore Illinois Code and Rules as well as Federal Medicaid Code in order to bring false charges to whistle blowers, who are witnesses to their corruption, as is Defendant and the persons the Illinois Attorney General have prosecuted for Medicaid Vendor fraud using virtually identical fraudulent indictments, using the same investigator and witnesses (Inv. Reibel and Lovett), and fraudulently presenting the same false information about the law to the multiple grand juries. These persons have included Dr. Maisha Hamilton Bennett, Vernon Glass, M.S., and Naomi Jennings R.N., as well as Plaintiff. Therefore, the Illinois Attorney General, her staff, and her investigators are not immune from liability. Even if the Illinois regulation per the Administrative Code is upheld to deny reimbursement for these counseling services to the poor, all defendants in any similar vendor fraud cases indictments and prosecutions cannot be sustained amid the uncertainty and vagueness created by the federal-state conflict. Indictment and prosecution of any defendant under a similar theory to this case of substitute billing run afoul of the Seventh Circuit Court’s holdings in Gresham and Brierton, and the Supreme Court precedents following Harriss. The indictments in the vendor fraud case against defendant and all defendants in similar cases fail to cite violation of any binding federal rule. Accordingly, the indictments directly contravene Supreme Court teaching in Christensen v. Harris County, 529 U.S. 576 (2000), and over 150 decisions that have relied on it. Defendant and similarly situated defendants in other cases administered much-needed services to the poor under the federally funded Medicaid program, in full compliance with all applicable federal laws and formal regulations. It is contrary to Christensen and its progeny to sustain Defendant’s and similarly situated defendants’ indictments for conduct that did not violate any clear and binding rules. The vendor fraud case against Defendant and similarly situated defendants is void for vagueness, similar to the Siddiqu and the Vainio cases as explained in the precedent setting and controlling cases such as Harriss, Gresham, and Brierton. “Void for vagueness” means criminal responsibility should not attach where one could not reasonably understand that his contemplated conduct is proscribed. United States v. Chandler, 66 F. 3d 1460 (8th Cir. 1995) The vendor fraud case against Defendant and similarly situated defendants clearly falls under the void for vagueness doctrine and should have been dismissed ab initio. Therefore, the trial court never had subject matter jurisdiction. This is not a matter of an unconstitutional statute. There is no statute or administrative rule in Illinois barring this allegedly criminal act of substitute billing in the case at bar as fraudulently charged. This act is specifically authorized by the federal Medicaid Code, Federal Code of Regulations, State Statutes, and State Administrative Code. Therefore, this case is a matter of enforcing federal code, which is being violated by this fraudulent prosecution, and not a matter of constitutionality of a state statute. In summary, a prosecutor who acts without State or Constitutional authority as a prosecutor, who then generates legally insufficient indictments, using illegally impaneled grand juries, to charge a person with a crime despite the Supremacy clause providing that the act is NOT a crime under federal law, and the fact that the charge is void due to vagueness has failed to state a claim and is not properly before the trial court. The sham prosecutor, her assistants, and their investigators are acting as individuals without legal authority and are all personally liable under § 1983 and state tort law. All judge who act on such an indictment, despite the fact it was not properly before the court, especially when they ignore extensive motions by the defendant about these issues, are committing acts of treason and are grossly violating their oaths of office as well as the United States and Illinois Constitutions. Therefore, none of the Defendants in this case are immune from liability as prosecutors or judges. People v. Foxall, 283 Ill. App. 3d 724 (1996): The defendant was charged by information with disorderly conduct based on transmitting a false report of sexual misconduct to the Department of Children and Family Services. Foxall, 283 Ill. App. 3d at 727. The reviewing court held that the information was insufficient because it did not specify the contents of the false report, and basic fairness required the State to identify the allegedly false statements. Foxall, 283 Ill. App. 3d at 727. Davis: The reviewing court found that the indictment was insufficient when the defendant was charged with official misconduct based on “disseminat[ing] information,” but the indictment did not identify the contents of the alleged communication. Davis, 281 Ill. App. 3d at 990. People v. Stoudt, 198 Ill. App. 3d 124 (1990): The reviewing court held that a complaint that charged defendant with resisting a police officer was insufficient when the complaint stated that the officer was engaged in the execution of his official duties but did not identify the authorized act the officer was performing. Stoudt, 198 Ill. App. 3d at 128. United States v. Bobo, 344 F.3d 1076 (11th Cir, 2003): The indictment was insufficient because it failed to specify the nature of the scheme used by the defendant to defraud the State of Alabama and the United States. United States v. Nance, 533 F.2d 699 (D.C. Cir., 1976): The indictment was insufficient because it failed to apprise the defendant of the nature of the false pretenses by which the defendant gained unauthorized control over money. People v. Gerdes, 527 N.E.2d 1310 (Ill.App.5th, 1988): The defendant in Gerdes was charged with obstructing justice by giving false information to the police. The charging instrument did not specify the nature of the allegedly false information. The defendant was therefore left to wonder which of many statements to the police the basis for the charge against him was, so the appellate court dismissed the indictment. Id. NOTE: As of April 1, 2016 the Black Line Trial Call has been abolished and a Master Trial setting call has been established. See article about this new system. You no longer will have hearings without notice !!! Judge Maddux Violates Constitutional Rights – Dismisses Torts with Dual Court Assignment for Same Case – hidden “Black Line Trial Call” WITHOUT Notice to Litigant – RICO Violation? In the Circuit Court of Cook County Law Division Presiding Judge William D. Maddux has devised a system that has been in place for several years that serves to quash cases primarily of pro se and indigent plaintiffs by “dismissing for want of prosecution” (“DWP”) without notice in violation of Illinois Supreme Court Rules. Judge Maddux appears to suffer from arrogance, a controlling obsessive-compulsive character where he must micro-manage as many aspects of all cases in his division as possible, narcissism in that he must be involved in every case and grandiose delusions in that he must boost his self-esteem by controlling others in all cases – even to the point of denying civil rights and the law. This scheme involves assigning each case to two parallel courts. The first is the motion judge and then trial judge. The second is the “Black Line Trial Call.” Litigants are not informed or given notice about the “Black Line Trial Call.” The second parallel court hearings are used to cause DWP without notice. This scheme that he devised purportedly to move cases along faster, but which actually denies the First Amendment right to redress of grievances, amounts to a RICO violation. Judge Maddux is enriching the courts and clerk’s office or County of Cook by taking money for filing fees and then illegally quashing the cases by DWP in clear violation of law. This makes the Cook County Circuit Court Law Division and the Cook County Circuit Court Clerk’s Office a criminal enterprise used by Judge Maddux, with approval of Chief Judge Timothy Evans and Cook County Circuit Court Clerk Dorothy Brown, essentially influencing this criminal enterprise by influencing through racketeering the outcome of every case in the Law Division. The crimes are fraud in that the Circuit Court appears to permit a person redress of grievances and accepts their filing fee, but instead DWP without notice in an unconstitutional scheme. This is also felony violation of civil rights under color of law and conspiracy to violate civil rights under color of law. As the mails are used in this scheme to inform the plaintiffs that their cases have been dismissed this is also mail fraud. Finally, this is also theft of honest services, as courts are supposed to uphold the constitution, not purposely violate it. The plaintiff files a lawsuit (tort) for damages and pays the filing fee thinking that they will obtain redress of grievances and have a just chance to present their case to court and be made whole by awarding of damages. The case is also assigned to an 18 month or 24 month pre-trial “discovery” schedule for purposes of the “Black Line Call.” The plaintiff is NEVER told that the “Black Line Call” system exists and only find out about it by word of mouth, if they read the Circuit Court of Cook County web site in detail, or if they read the Cook County Circuit Court Clerk web site in detail, which contains a link to the Court web site and contains the “Black Line Case Docket”. The majority of pro se litigants who are novices therefore do not know about this second court “system,” to which their case is also assigned. When the case reaches the 18 mo or 24 mo discovery schedule date, it is assigned to the last number on the “Black Line Call”, a list of cases. The cases are heard about thirty a day without any notice except publication in the Chicago Daily Law Bulletin and the case being listed on the Court Clerk’s “Black Line” computer docket. A specific date is NOT given for the hearing, but rather the litigants must guess at the date that the case will move from the end of the line of about 300 cases to the first thirty cases (“above the Black Line”), or read the Chicago Daily Law Bulletin or court computer docket every day after 4:00 p.m. The plaintiff must appear on that date at 9:00 a.m. or the case is DWP. No continuances of any kind are allowed. No accommodations are made for the disabled or pro se litigants of any kind. Then when the case is DWP, the plaintiff receives a postcard in the mail from the court that their case has been dismissed and the motion judge will refuse to hear it any or receive any motions. The litigant will have to make a motion to vacate the DWP before Judge Maddux within 30 days or make a 1401 petition before Judge Maddux for the case to be re-instated. Judge Maddux refuses to re-instate cases for unknown reasons. (a) Delivery of Copy of Complaint. Every copy of a summons used in making service shall have attached thereto a copy of the complaint, which shall be furnished by plaintiff. (b) Filing of Papers and Proof of Service. Pleadings subsequent to the complaint, written motions, and other papers required to be filed shall be filed with the clerk with a certificate of counsel or other proof that copies have been served on all parties who have appeared and have not theretofore been found by the court to be in default for failure to plead. (c) Excusing Service. For good cause shown on ex parte application, the court or any judge thereof may excuse the delivery or service of any complaint, pleading, or written motion or part thereof on any party, but the attorney filing it shall furnish a copy promptly and without charge to any party requesting it. (d) Failure to Serve Copies. Failure to deliver or serve copies as required by this rule does not in any way impair the jurisdiction of the court over the person of any party, but the aggrieved party may obtain a copy from the clerk and the court shall order the offending party to reimburse the aggrieved party for the expense thereof. (a) Notice–Form and Contents. If new or additional relief, whether by amendment, counterclaim, or otherwise, is sought against a party not entitled to notice under Rule 104, notice shall be given him as herein provided. The notice shall be captioned with the case name and number and shall be directed to the party. It shall state that a pleading seeking new or additional relief against him has been filed and that a judgment by default may be taken against him for the new or additional relief unless he files an answer or otherwise files an appearance in the office of the clerk of the court within 30 days after service, receipt by certified or registered mail, or the first publication of the notice, as the case may be, exclusive of the day of service, receipt or first publication. Except in case of publication, a copy of the new or amended pleading shall be attached to the notice, unless excused by the court for good cause shown on ex parte application. (1) By any method provided by law for service of summons, either within or without this State. Service may be made by an officer or by any person over 18 years of age not a party to the action. Proof of service by an officer may be made by return as in the case of a summons. Otherwise proof of service shall be made by affidavit of the server, stating the time, manner, and place of service. The court may consider the affidavit and any other competent proofs in determining whether service has been properly made. (2) By prepaid certified or registered mail addressed to the party, return receipt requested, showing to whom delivered and the date and address of delivery. The notice shall be sent “restricted delivery” when service is directed to a natural person. Service is not complete until the notice is received by the defendant, and the registry receipt is prima facie evidence thereof. 9) Extorting money by denying due process in order to enrich a criminal enterprise including the Circuit Court of Cook County through the Office of the Clerk of the Court – filing fees; and through the Office of the Cook County Sheriff – service fees (all fees fraudulently obtained as the “Black Line Trial Call” system or scheme sets up the majority of pro se plaintiffs to have their cases dismissed without notice or due process). The FBI and United States Attorney should be investigating this, should prosecute the offenders, and should restore constitutional rights to redress of grievances and due process to the citizens of Cook County.